The 2016 NFL Regular Season is merely a few weeks away, and with that, we decided to look at the top matchup on the road to Super Bowl LI in Houston. The Denver Broncos will lift their Super Bowl 50 banner and receive their world champion rings in their week 1 Thursday night opener, as has been a tradition in the NFL for year. Unique this year is that the Broncos will be receiving these honors in front of the team that they defeated for those very honors. The Broncos will play host to the Carolina Panthers on Thursday night, September 8. However, the Broncos will be touting a new quarterback, whether that be Mark Sanchez or Trevor Siemian. So week 1 might shape up a little differently than Super Bowl 50. Another Super Bowl rematch will feature two prominent teams. The Seattle Seahawks will visit the New England Patriots on November 13, a rematch of Super Bowl XLIX in Arizona. Both teams fairly in tact from their Super Bowl days, with the large exception of the Seahawks losing running back Marshawn Lynch to retirement in the offseason. It’s not like Seahawks head coach Pete Carroll really used him in the 4th quarter anyway…right? The Thanksgiving Day slate is capped off with an 8:30 p.m. ET matchup between the Pittsburgh Steelers and the Indianapolis Colts, who will be hosting their first ever Thanksgiving game. 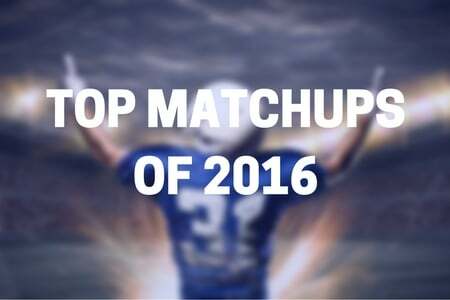 The matchup showcases two teams with bruising quarterbacks. However, the Steelers have dominated the series since Andrew Luck’s drafting by the Colts in 2012, making this matchup even more interesting. Luck is coming off of a year which saw multiple injuries and nine games missed. The 2016 Players Tailgate at Super Bowl 50 in San Francisco was an incredible success! And as we gear up for 2017 in Houston, get yourselves ready for a Super Bowl tailgate unlike any other.